The Canon MP499 is wireless printer able to copy, print and scan. It is suitable for the applications that require high-quality performance, ease of use and convenience all together in one printer. This printer is a compact all-in-one machine with a 7 segment LCD display and an intuitive control panel. It weighs 5.6 Kg that makes it an easily portable device. It features a flatbed CIS colour scanner with a resolution of 1200 x 2400 dpi. The printer is also compatible with non-PC devices enabling one to do full HD movie prints. These devices may include the iPad, iPod touch, iPhone, Android devices, and Sony PlayStation 3. The printer features straightforward printing. It is integrated with a colour copier and scanner, making it an efficient choice for a small office and home users. 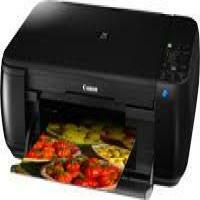 The printer delivers high-quality photo prints with Canon MP499 Ink Cartridges. This multifunctional printer features wireless connectivity that makes printing via Wi-Fi easier. The colour copier is quite fast, producing good quality output in 26 seconds. The printer comes with features for user-friendly photo editing and printer management. Black text comes out crisp with Canon MP499 Ink Cartridges. The photo quality can be manually adjusted. Windows 7 users, as well as newer versions of Mac, will not have difficulty in installing this printer. The lack of a memory card reader and Ethernet makes it inefficient for the users who want to use non-WiFi devices. The LCD screen is not enough for displaying settings and menu options. The printer is pricey to run as the replacement black inks are expensive. The print speed is 8 ppm in monochrome and 4 ppm in colour certainly not the best option. If one needs a printer for intermittent use, the Canon MP499 will be a suitable option. It prints, scans, and copies documents, and the integrated wireless print server. This means that one won't have a bundle of cables required for connections in the office. But it lacks some of the crucial features such as Ethernet and the memory card reader. This limits the connectivity of the printer to USB and Wi-Fi. A. The machine is bit expensive for its class but is a good investment especially for small business and households with multiple users. It has proven to be an economical choice when it comes to ink usage, especially with its high-yield Brother MFC 6490 Ink Cartridges. Q. How do I configure the wireless setting in my Brother MFC 6490 printer? A. In the menu select Network>WLAN>Setup Wizard>OK. The machine will search for available SSIDs. Use up and down buttons to select your SSID. If you are unable to find your SSID then you can add it manually as well. Click OK to connect with it. If your SSID is password protected then enter the password and OK. It may take a few moments to get connected. If there is an error, then check for the connection error and repeat the process. Once your machine is connected to the network, your wireless connection is configured. Q. I used the PG-210 Black Cartridge and the CL-211 Colour Cartridge which came with my Canon MP499 printer. I need to replace the cartridges, can I expect the same high-quality output with the PG-512 and CL-511 ink cartridges? A. The PG-512 black cartridge and CL-511 colour cartridge are compatible Canon MP499 ink cartridges. We assure you that there will be no downgrade in quality and you can expect the same high-quality output that you got with the previous cartridges. Q. What operating systems is the Canon MP499 compatible with? A. The Canon MP499 works well with all versions of Windows and Mac. Q. What is the printing resolution of the MP499 printer? A. The Canon MP499 can print up to a resolution of 4800 x 1200 dpi for colour printing and 600 x 600 dpi for black printouts. Q. How many pages can a Canon MP499 ink cartridge print? A. There are various ink cartridges compatible with the MP499. We provide the PG-512 black ink cartridge which can print up to 401 pages and the CL-511 colour cartridge which can print up to 349 pages. Q. How much space does the MP499 take up? A. The Canon MP499 measures 6” in height, 13.2” in depth and 17.8” in width meaning, it can be placed almost anywhere. It also only weighs about 5.5 kg making it easy to move. Q. I recently ordered the PG-512 black ink cartridge and CL-511 colour cartridge for my MP499 and assembled it. The printer seems to be printing with the black ink properly but colour printouts are faded. A. We are sorry to hear this. Please make sure that the cartridge is inserted into the printer properly. If the problem still persists, contact us on 048 308332211 or email us on info@printerinkcartridges.ie. Q. I need a printer for my home which can produce high-quality printouts, doesn’t take up too much space and can be used with other devices. Is the Canon MP499 suitable for my purposes? A. Absolutely, the MP499 is perfect for you as it is small in size, can connect to your Android and Apple devices and Canon MP499 ink cartridges produce high-quality printouts, leaving you satisfied every time.